What can a lame donkey, a bespectacled dog, an elderly cat and a spent cockerel do when they are no longer wanted? They can form a travelling band and make a new life singing for their supper of course! Join this eccentric ensemble on the road to Bremen. This German fairy tale is a funny story about an unconventional band of musicians who set out to make a new life in Bremen. 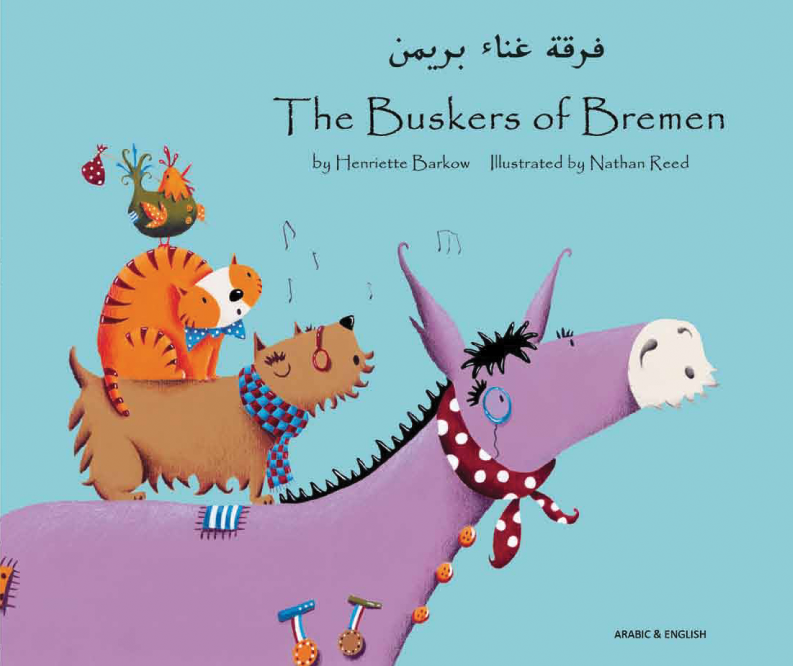 An entertaining story with a serious moral, 'The Buskers of Bremen' offers plenty of scope for exploring topics including old age and valuing and respecting our elders. This adaptation is also a useful starting point for discussing PSHE topics including friendship, teamwork and inclusiveness.